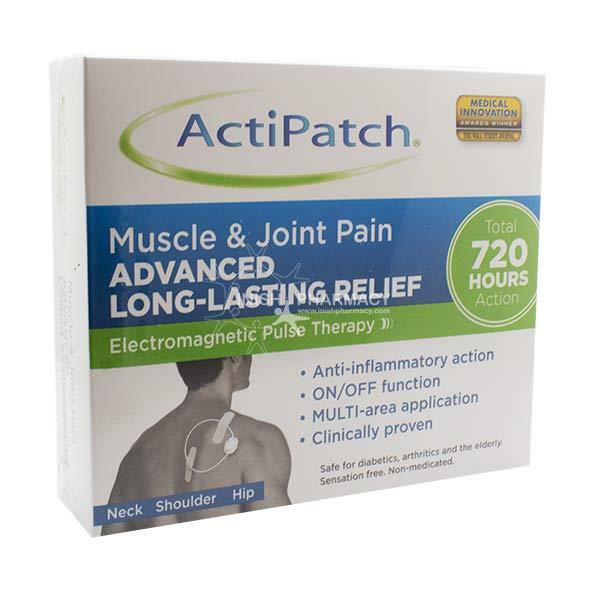 ActiPatch Electromagnetic Pulse Therapy Therapy Muscle & Joint Pain helps to ease long term chronic pain using Electromagnetic Pulse Therapy. It is designed to work on muscle soreness, strains & sprains, neck & shoulder pain, hip pain, carpal tunnel, sprained ankle, fibromyalgia, arthritis and postoperative recovery. Safe for diabetics, arthritics, bedridden and the elderly and can be used with any medication. It is long lasting with 720 hours of actions and has a convenient on/off switch. Unlike TENS machines it does not have any sensation.